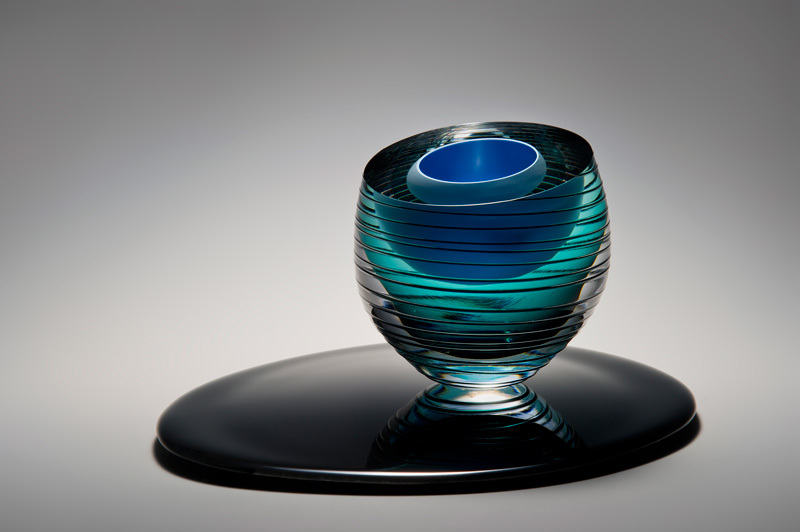 Established by Peter Layton in 1976, London Glassblowing is celebrating its 40th anniversary. 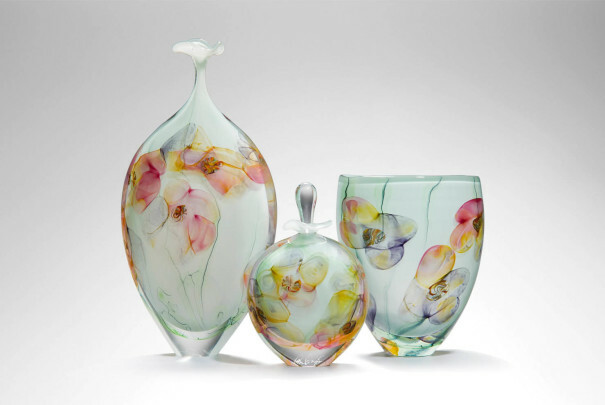 As part of this special year of celebrations we are proud to be presenting Recollections – our stand-out summer show. In art, as in life, we may all experience a missed opportunity, that avenue yet to be fully explored. 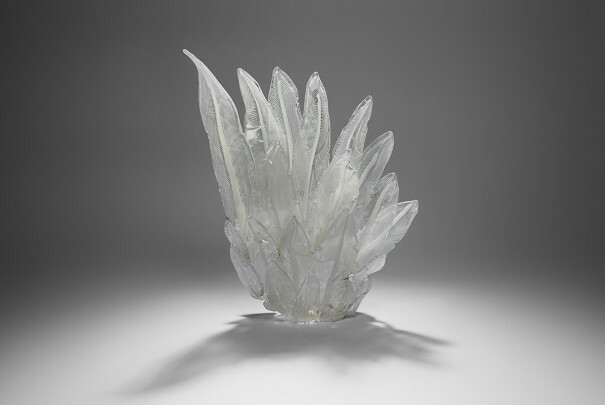 With this in mind, and in the spirit of evolution, we have challenged our resident artists to revisit creations from their rich history; to go beyond previous explorations and develop new and inspiring works that look towards the future. Recollections will feature: Peter Layton, Louis Thompson, Hanne Enemark, Jochen Ott, Bruce Marks, Tim Rawlinson, Elliot Walker, Laura McKinley & Richard Price, Cathryn Shilling & James Duncan Clark, Layne Rowe, Anthony Scala and James Alexander. For the exhibition Recollections, Cathryn Shilling is revisiting themes explored in her earlier piece, Static Movement, in a collaboration with photographer James Duncan Clark. This new project combines glass fusion techniques and photographic transfer prints to explore the use of computer generated imagery used by South London property developers. By appropriating various CGI portraits of people from hoardings (‘Render Ghosts’) located in and around the London Bridge area, and redeploying them within a fragmented, binary glass vista, the artists attempt to deconstruct and isolate these utopian representations of 21st century London through a playful act of obscuring and revealing. 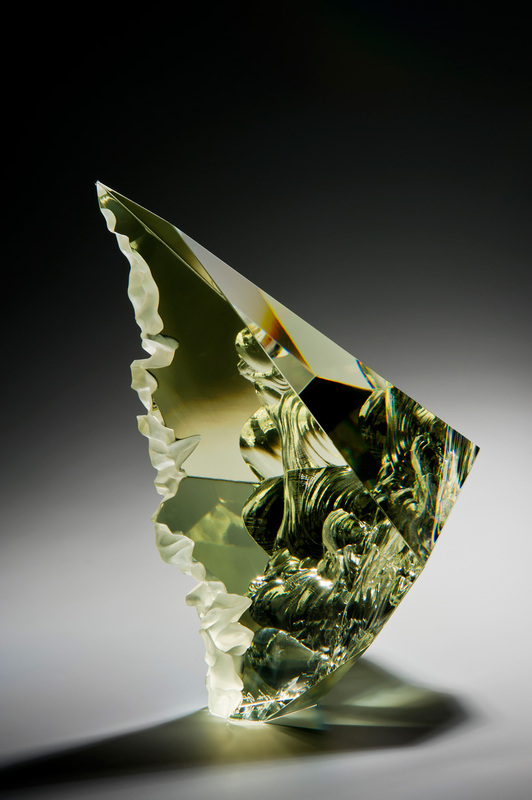 For their new collaborative works, ‘Ore’, Hanne Enemark and Louis Thompson are revisiting ideas they have explored throughout their years as practicing artists, using blown glass and gold lustre to great effect. 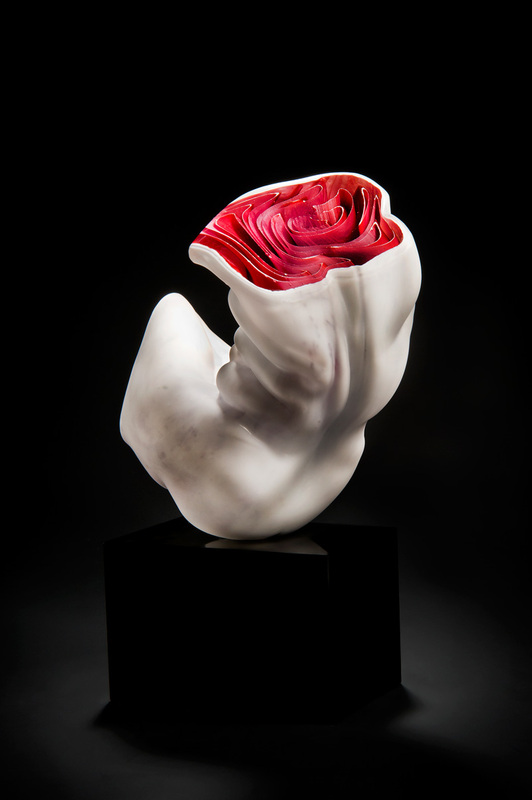 Elliot Walker will be exploring hot sculpted forms depicting contorted and dissected figures. Tim Rawlinson is revisiting ideas he explored in 2014 for an exhibition titled VETRO, the theme of which was Venetian inspiration. 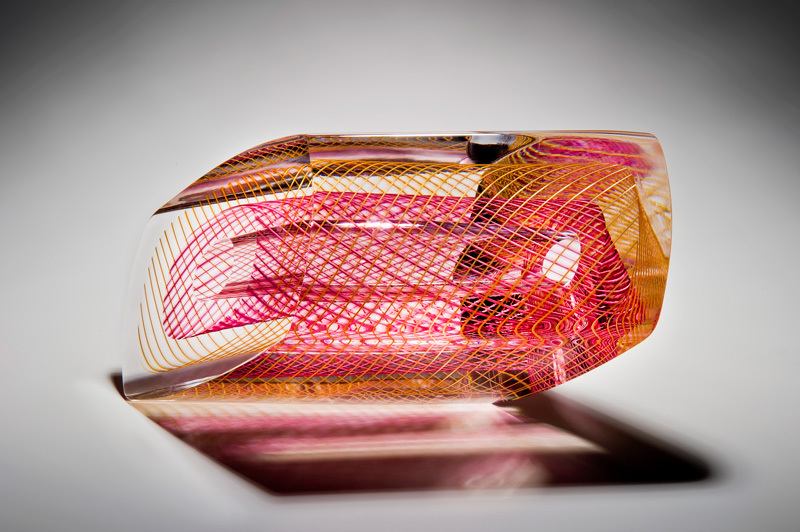 Using intricate cane work through the reticelllo technique, Tim has created a matrix composed of layers of fine lines within his sculptures. 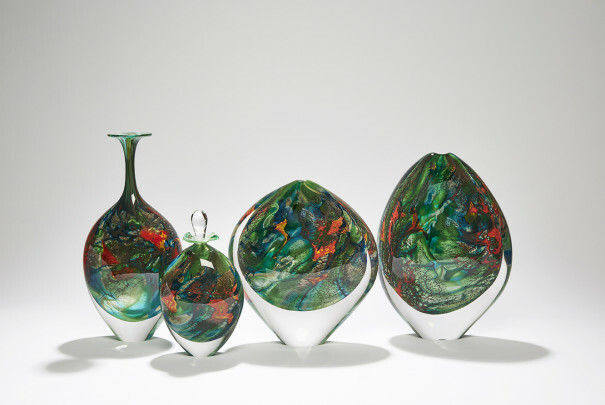 These are distorted by the optical qualities of the glass, greatly enhanced by Tim’s extensive cutting and polishing techniques. 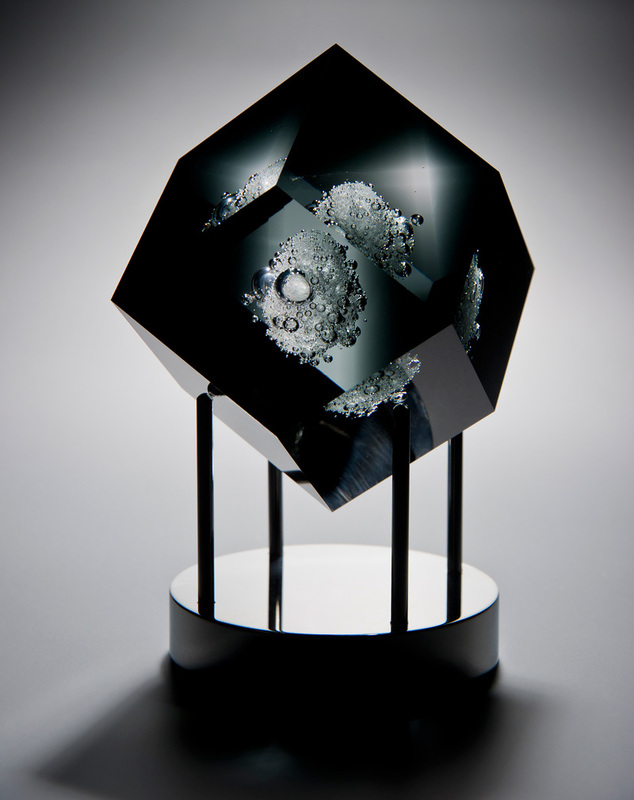 Jochen Ott will be revisiting his work with cut and polished optical glass. 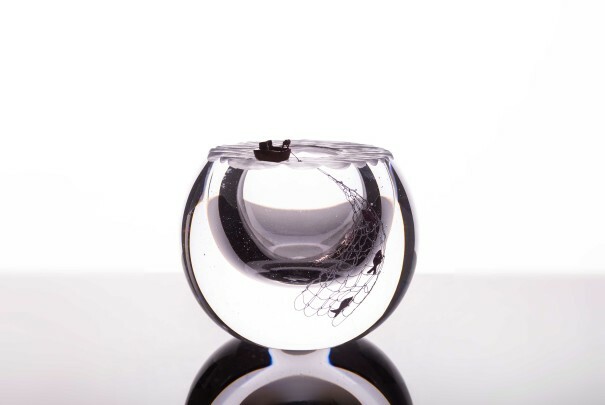 Laura McKinley & Richard Price will be collaborating on blown, cut, polished and engraved pieces which combine influences from both their working practices. Layne Rowe will also be unveiling some new pieces inspired by some of his own historical sketch book drawings.